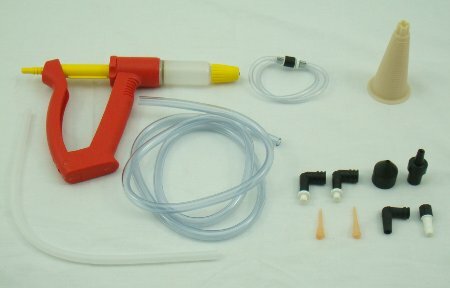 Bleed your brakes easily and economically with Phoenix Systems V-12 DIY brake bleeders. Well suited for your home garage or shop, these bleeders are great! Manufactured from Zytel-nylon (glass-reinforced nylon), this V-12 DIY is strong but lightweight with an ergonomic design that's compact and comfortable to use. And, they are truly do-it-yourself, needing only one person to do the job! Compatible with all types of brake fluid, V-12 DIY bleeders make short work of your brake bleeding job. Properly bleed brakes all by yourself with Phoenix Systems V-12 DIY brake bleeder.